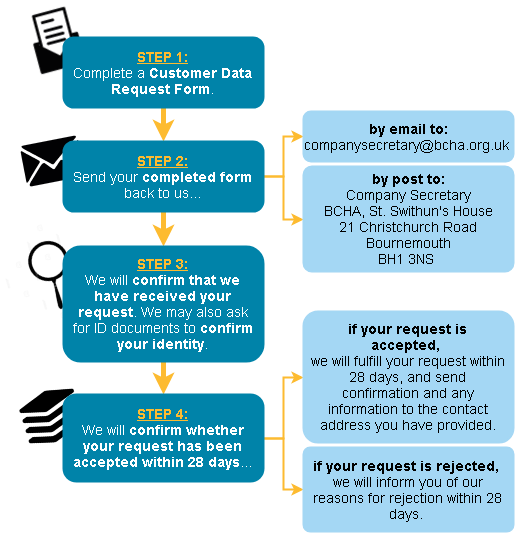 Bournemouth Churches Housing Association (BCHA) gathers and processes your personal information in accordance with the Privacy Notices below, and in compliance with the relevant data protection laws. The notices below provide you with the necessary information regarding your rights and our obligations, and explains how, why and when we process your personal data. Please select the relevant notices related to the services we provide to you. Please CLICK HERE if you want to know how data is processing specifically for this website. Click here to download the Customer Data Request Form.